This is Part II of the article series, Meet Nicole, taken from a March 2018 interview with Nicole McNair of Greensboro, NC. Dusty: How did they tell you that you had lung cancer? Earlier that year, in January 2016, doctors thought her increasing pain was caused by a back problem. They conducted surgery but that only made the pain worse. Nicole says the doctors used an old medical image. She thinks if they had taken a fresh image, they would have seen the tumors. Not only did the surgery not help, it made the pain worse. Dusty: What treatment have you had? Nicole has had several different types of chemotherapy and immunotherapy. She never underwent a tissue biopsy. Her doctor tested her blood for biomarkers, called a liquid biopsy. No actionable biomarkers were found. She also underwent radiation three times. The first radiation was in 2016 on her pelvis. Nicole said she felt as if her oncologist was giving up on her. Three times he advised her to stop treatment. While the Duke visit didn’t offer Nicole much in the way of new anti-cancer treatment, it significantly helped with symptom management. Dusty: Do you have advice for others? Nicole: “Don’t give up. When you know there is something wrong with yourself, you keep on at it. Find somebody who will listen. Because that was my biggest regret, being stage IV, and to me, I didn’t have to be stage IV. If I had someone listen to me and do what was needed. Dusty’s Note: Nicole came to our support group a couple of times, but due to her pain level, she cannot come now. She has no computer, nor does she have a smartphone. 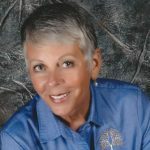 Even though she is somewhat isolated from the lung cancer community, Nicole would like to share her story and connect with unmet friends. You can post a message for Nicole on Facebook. Her friend will share your comments with her periodically. Learn more about Nicole and her lung cancer story in Meet Nicole Part I.